A nor’easter (also northeaster; see below) is a macro-scale cyclone occurring along the upper East Coast of the United States and Atlantic Canada. The name derives from the direction of the strongest winds—as an offshore air mass rotates counter-clockwise, winds tend to blow northeast-to-southwest over the land in those regions. It is unclear how much snow we are going to get. Originally they predicted up to 7″, but now they have downgraded it. 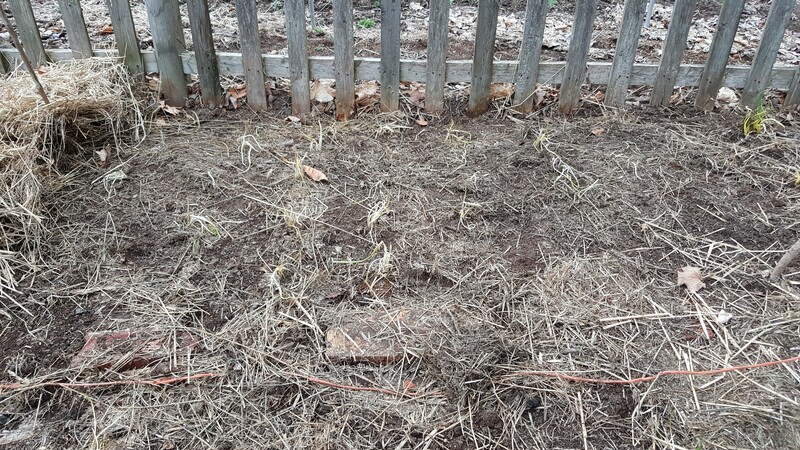 Early spring is always frustrating, you see plants popping up in the yard, but the weather doesn’t let you do as much as you want or need to do. 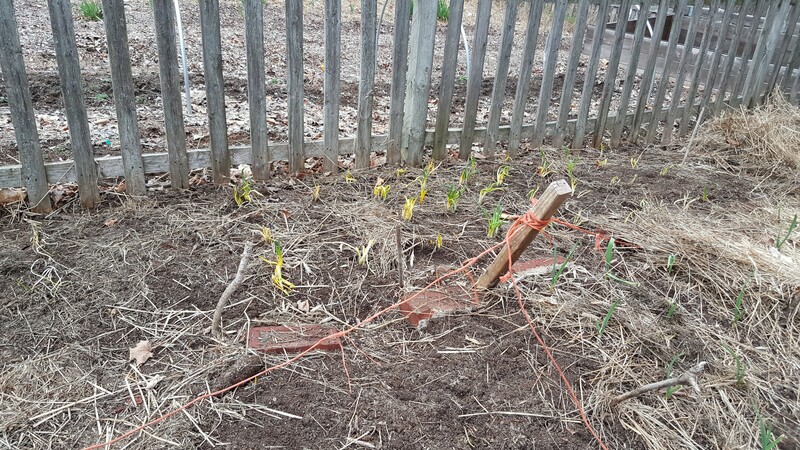 Case in point, we were a little late in getting the shallots uncovered from their winter mulch.The yellow shallots suffered a little, but should recover just fine. end of Oct. beginning of Nov. (Zone 6b). Depending on the weather we have in Fall, we can sometimes see the garlic greens already poking through. The shallots love the covering through Winter, but typically don’t push through the covering in Spring leading to yellowing of the leaves. The grey shallots suffered a little more this year and we are hoping they recover. :Back to thinking about the limitations of Spring weather. One positive point is that it forces you to take care of those Spring chores that involve being inside. Here at Spring Hill Farm, that means starting seeds. We try to save our seeds, but we also buy or acquire our seeds from a number of wonderful sources. Many of our heirloom varieties come from Seed Savers Exchange, a non-profit that connects people interested in preserving heirloom varieties together. They have a wide variety of seeds for sale, but also have a membership service that allows members to easily trade seeds directly. Johnny’s Selected Seeds. We have had good luck with their products and you can find them in a lot of garden centers. flats have temperature controlled mats to keep the feet of the seedlings just right. We like Hydrofarm germination mats and they are available in a variety of sizes. It is important to pay attention to what temperatures your seedlings want in order to germinate – hotter isn’t always better! Last year we got a set of hoop benders for both low and high house set-ups. We hope in the near future to be able to expand our seeding outside to allow us to enjoy the fresh air while getting this important chore done. Let us know about your seeding set-up in the comments!